Maintenance is part of any vehicle ownership experience, and streamlined service visits are crucial predictors of improved customer satisfaction. That is why Audi is launching a first-of-its-kind communications robot to help Audi dealership technicians quickly diagnose and troubleshoot repair issues that they may encounter. 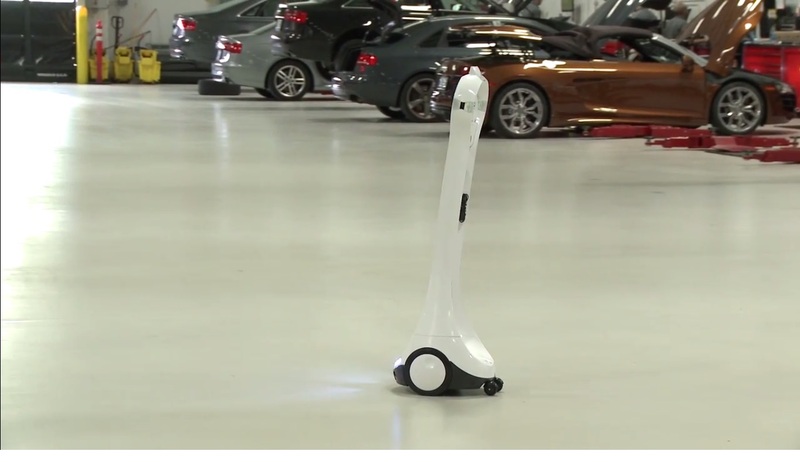 The innovative Audi Robotic Telepresence (ART) provides a one-on-one virtual link that connects dealers across the country with expert technicians at Audi of America. This telepresence allows those technicians to inspect and help service vehicles as if they were standing alongside the local dealer technicians. This level of service precision is accomplished through ART's physical design: the system is an advanced, remotely controlled robot that displays the operator's face on a screen while permitting the ability to move around the vehicle. ART enables Audi Technical Service teams to interact and converse with service technicians at local dealerships, even while physically in a different location. An attached borescope and handheld camera allow the operator to further inspect engine components and other difficult-to-reach parts of the vehicle.